Baker County Blog: Obama to create new national monuments? The areas under consideration for new national monument status subject to public support and other considerations include the following lands, Owyhee Canyons, Montana Plains, Otero Mesa, San Rafael Swell, Northern Sonoran Desert, Cascades Siskiyou, Vermillion Basin, Lesser Prairie Chicken, Berrysessa-Snow Mountain, Heart of the Great Basin, Bodie Hills, Modoc Plateau, Cedar Mesa, and San Juan Islands. At one time or another I have visited nearly all the proposed national monuments and each has its special values that make them worthy of protection. Let’s hope the Obama administration follows through on designation of these areas, and even adds a few of the runner up proposals like Bristol Bay, Alaska and Wyoming’s Red Desert. Otero Mesa in New Mexico: A 1.2 million acre grasslands inhabited by prairie dogs, pronghorn, and other wildlife. San Rafael Swell, Utah: A wild 40x75 mile mix of canyons, gorges, arches, and buttes that includes 5 wilderness study areas, this place has long been considered for national park status. I’ve wandered some of the canyons on the fringes of this area including Little Wildhorse Canyon, an area with narrow slot canyons. Owyhee Canyonlands in Oregon and Nevada: The adjacent Idaho portions of this canyon complex was given some partial protection by legislation last year, but Nevada and Oregon sections of this area remain unprotected. I worked the BLM searching for rare plants in this extremely remote part of the West, and often went days without seeing another soul. The remote canyons are home to redband trout and California bighorn sheep. Montana Northern Plains: This would protect the Bitter Creek WSA and other BLM lands which lies just south of the Canadian border and immediately adjacent to Grasslands National Park in Canada. Back in the 1980s, I published a proposal for Montana wildlands that included a 3.5 million acre national park that would have included the BLM lands along the Missouri Breaks, Charles M. Refuge Wildlife Refuge, and the Bitter Creek area, among other public holdings. In essence, this proposal would make that dream a reality by creating a natural connected corridor between the Charles M. Russell National Wildlife Refuge, Missouri Breaks National Monument, and private conservation efforts north of the Missouri River. Northwest Sonoran Desert, Arizona. The Sonoran Desert, dominated by its signature plant, the saguaro cactus, it is the most diverse of all North American deserts. On-going and escalating ORV abuse, livestock grazing, and other threats, including extended drought perhaps due to global climate change, threatens this unique ecosystem. This proposal would encompass desert lands northwest of Phoenix. Cascade Siskiyou National Monument expansion, California/Oregon. In 2000 the Cascades Siskiyou National Monument was established in Oregon, but a portion of the area lies in California. This expansion south would include fine examples of oak woodlands and the unique plant assemblages in this region which features vegetation representative of the Great Basin, Klamath Mountains and Cascade Range. There is also discussion of including an expanded boundary in Oregon as well to include the proposed Siskiyou Crest to the west of Ashland. The Siskiyou Crest includes portions of the PCT, the Red Buttes Wilderness, and the Kangeroo Roadless areas, one of the largest unprotected roadless areas in northern California. This is an area I’ve explored on numerous occasions over the years, and can attest to its unique beauty and quality. Vermillion Basin, Colorado. The Vermillion Basin lies along the Colorado-Wyoming border and bisected by Vermillion Creek, a tributary of the Green River. Part of the area was studied by the BLM for wilderness designation. It is another lonely corner of the West with rugged canyons and sage covered slopes containing important sage grouse habitat. I’ve hiked a few parts of the basin, and did not encounter another person. But this solitude is likely to change in the future since the area is considered a high priority for on-going oil and gas exploration. Lesser Prairie Chicken, New Mexico: A 58,000 acre area that is home to bluestem grasslands that contain some of the best lesser prairie chicken habitat in the United States. Berrysessa-Snow Mountain, California: This 500,000 acre area would include portions of California’s northern Coast Ranges that are the headwaters of Cache Creek, a BLM wilderness area, home to many wintering bald eagles and a growing herd of Tule Elk as well as one of the most diverse botanical communities in the United States. I’ve had the pleasure of hiking Cache Creek and hiking to the summit of Snow Mountain—both areas have outstanding wildlands value, but I was most impressed with the oak woodlands on lower slopes and fir forests at higher elevations. Heart of the Great Basin, Nevada: This monument would include the Toiyabe, Monitor, and Toquima Ranges. All three ranges have some protected status granted by wilderness designation. This was one of my favorite parts of Nevada which I explored in preparing my Nevada Mountain Ranges book. It contains substantial archeological sites, huge aspen groves, and 12,000 foot peaks. Bodie Hills, California. Have you ever visited Bodie Ghostown State Park north of Mono Lake, than you have been in the proposed Bodie Hills National Monument. This land of sweeping sage covered hills, home to Mono Basin Sage Grouse, an endangered species. 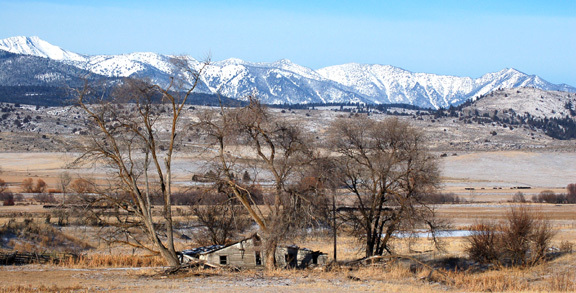 Connecting the Bodie Hills with Mono Lake Scenic Area, plus adjacent recently designated wilderness in the headwaters of the Owen River would make a large interconnected wildlands of national significance. Modoc Plateau, California. The 3 million acre proposed Modoc Plateau National Monument is another one of those out of the way places in the West where few venture, and is not likely to be on anyone’s to “must see before I die list”. The proposal includes the Skedaddle Mountains on the Nevada-California border, one of the largest unprotected wilderness study areas in the state. Immediately west of the Black Rock Desert complex in northern Nevada, this area, along with the Owyhee Canyonlands, probably contains some of the least visited areas in the American West. One of the things that I’ve particularly enjoyed when I’ve camped out here, is the vast bowl of shining stars at night since this area is far from any major urban light sources. Cedar Mesa, Utah. The Cedar Mesa area extends from the San Juan River to Elk Ridge on the north borders Grand Gulch on the west and Comb Wash on the east. It includes some of the best canyons in Utah like Mule, Arch, Fish and others, as well as thousands of ancient Native American dwellings and other archeological materials. I once watched cows trampling and destroying ancient walls of an Indian dwelling in Arch Canyon, and have seen plenty of damage from ORVs in Comb Wash. Hopefully national monument designation can bring more protection to this unique part of Utah’s Canyon Country. San Juan Islands, Washington. The 172 islands and islets that make up Washington’s San Juan Islands lie in Puget Sound north and west of Seattle. The islands lie in the rainshadow the Olympic Mountains and receive some of the lowest annual precipitation on the entire West Coast north of Santa Barbara, California. I have only visited a few of the islands, but enjoy the play of land and sea. The islands and the surrounding ocean is a rich land for marine mammals like orca as well as salmon. There are only 13,389 acres are owned by federal, state or local governments in the islands, so I don’t know exactly which lands might be included in the monument. Hopefully national monument status can add to these public holdings to preserve what is a truly outstanding landscape. Among areas on the short list which probably will not get national monument designation at this time are Wyoming’s Red Desert, Bristol Bay region and Teshekpuk Lake on the North Slope, both in Alaska. It’s a shame that these three areas are not at the top of the list. The Bristol Bay is area that is under threat. The Bay is home to the most famous and largest salmon fisheries in North America, and a proposed gold mine near the headwaters of one of the area rivers could pose a threat to many of these runs. Finally, Teshekpuk Lake is a well known breeding area for waterfowl located along the Arctic Coast to the west of Prudhoe Bay. Oil development is planned for this area as well. Other parts of the leaked proposal discuss funding for land trades and targeted land acquisition from willing sellers in several important areas to consulate management. For instance, within the Missouri Breaks National Monument there are approximately 80,000 acres of private lands which the administration believes could be purchased for approximately $24 million. Another area targeted for land acquisition is the Upper Green River Valley of Wyoming where almost 400,000 checker boarded state and private acres are located that could be purchased or exchanged. A third area for consolidation is the John Day River in Oregon and the south slope of the Pioneer Mountains in Idaho near Craters of the Moon National Monument. National Monuments are similar to national parks in many ways, and raise the profile of an area. Unlike National Parks which must be designated by Congressional legislation, and are only managed by the National Park Service, national monuments can be created by Presidential proclamation under the 1906 Antiquities’ Act. Though most national monuments are under National Park Service administration, five other federal agencies currently manage some of our national monuments. For instance, the Missouri Breaks National Monument in Montana is managed by the BLM and Mount St. Helens Volcano National Monument is managed by the Forest Service. The Act was first used by Theodore Roosevelt to create Devil’s Tower National Monument in Wyoming in 1906. Roosevelt subsequently expanded upon this first conservation act by designating the Grand Canyon NM, Olympic NM, National Bridges NM, and Pinnacles NM in California, among 18 national monuments he established during his presidency. Many subsequent Presidents have designated new national monuments, including George W. Bush who created five national monuments, though four were off in the middle of the Pacific Ocean where there are no voters and no controversy. Many national monuments are “upgraded” to national park status eventually. For instance, Grand Teton National Park, Death Valley National Park, Katmai National Park were all originally national monuments. We will, no doubt, hear some the predictable rhetoric about a “government” take over—even though in nearly every instance, the designation is merely changing management emphasis on lands already owned by the public. Historically, however, national monuments were established over the protests of local people. For example, Teddy Roosevelt tried in vain to get Congress to protect the Grand Canyon but with no success, So Roosevelt used the Antiquities Act to create a Grand Canyon National Monument over the objections of mining, logging and livestock interests as well as most of the residents of Arizona. The Arizona Congressional Delegation even stopped funding for the national monument as a protest. Similarly, when Roosevelt established protection for old growth forests in the Olympic Mountains, local timber interests and communities were outraged. When Franklin Roosevelt established Jackson Hole National Monument in the Tetons in 1943, locals protested, and the Wyoming delegation introduced legislation to undesignated the monument. Eventually the Jackson Hole National Monument was merged with other lands to create Grand Teton National Park. When Bill Clinton and Bruce Babbitt established Grand Staircase Escalante National Monument in southern Utah in 1996, the Utah Congressional delegation and Governor were opposed. There is a pattern to all these protest. Generally short sighted local attitudes change over time, and national monuments generally enjoy wide spread public support even within the states where public opposition was high. There are few people who live in Wyoming today, for instance, who would vote to undesignated Grand Teton National Park. And on the heavily logged Olympic Peninsula, Olympic National Park retains the bulk of remaining old growth forests and intact salmon streams that is now one of the prime attractions of the region. Will the Obama Administration go forward with this proposal and ensure a legacy in conservation history? I certainly hope so. If history and the passage of time is any indication, future generations of Americans will thank him for these designations just as millions of Americans now enjoy and are grateful for past President’s use of the Antiquities Act to enshrine many of America’s most iconic landscapes from the Grand Tetons in Wyoming to Glacier Bay in Alaska to Joshua Tree National Park. George Wuerthner has published 35 books covering many areas of the West, including Nevada Mountain Ranges,Oregon Mountain Ranges, Alaska Mountain Ranges, California Wilderness Areas, among other titles. I remember Cedar Mesa in Utah's Red Rock Country, the Road Canyon area to be exact, being over-run with starving cows, rib and hip bones almost popping out of their skins, in April of last year. They left the shrub community and cryptogamic/biotic crust in tatters, as the grass, primarily cheat, was at 1 to 1 &1/2 inches. With their calves in tow, they resorted to eating thorny bare salt bush stems. The heart of the Great Basin is another worthy addition in my mind.